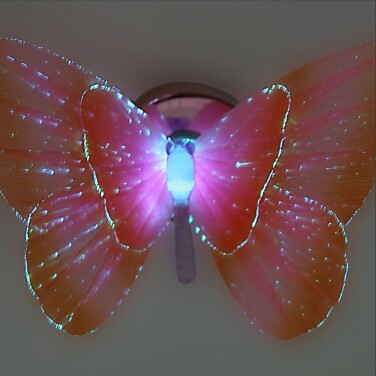 Place delicate butterfly lights in key places around your child's room for a magical fibre optic light display. Enchanting butterfly decorations are lit with colour change fibre optics to make a stunning night light. Made from sheer fabrics and detailed with fibre optics, each butterfly sits on a suction cup making them easy to apply to mirrors and highly polished surfaces. 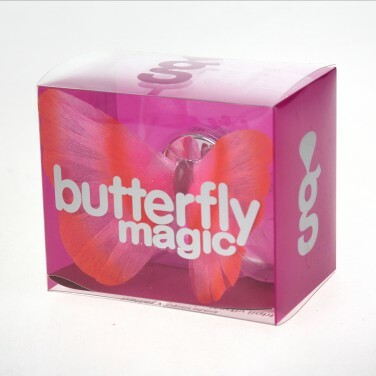 The LED Magic Butterfly is battery operated and comes with a spare so that you can enjoy mesmerising colour change light from these stunning little lights.